This Domino sofa by American Furniture features a beautiful cornell pewter fabric made of polyester, sinuous seating system, tempered steel springs which are clipped and braced with a border wire that adds increased strenght and improved seating. 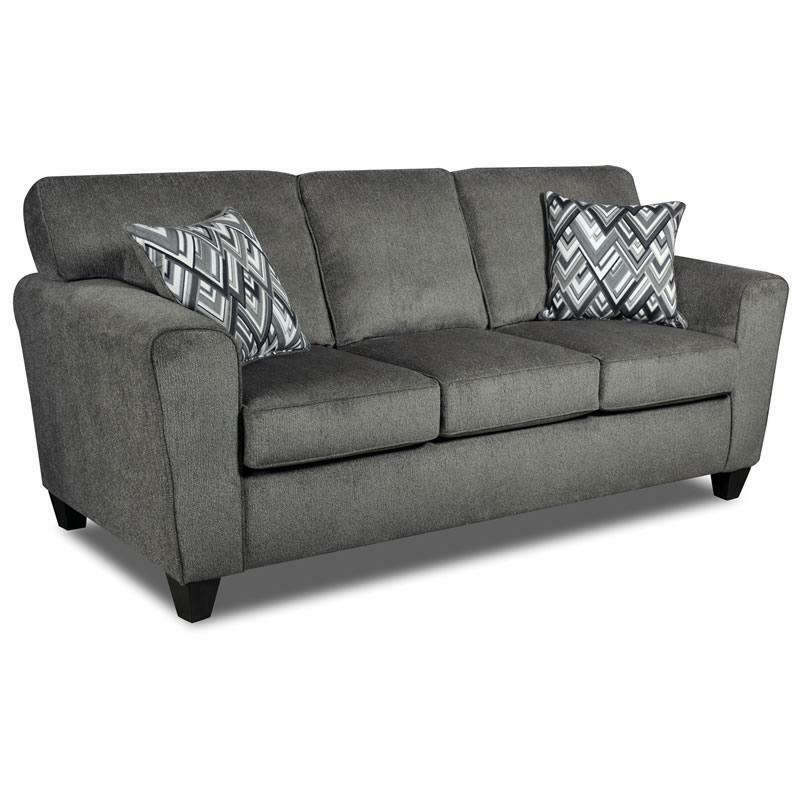 This sofa also features engineerd wood and hardwood rails, glued seat boz with back rail,the CertiPur-US certified green foam and comes with two decorative pillows. Volume 75.70 cu. ft. / 2.14 cu. m.